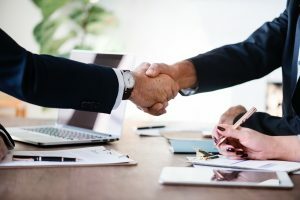 Home › Articles › Settlement agreement not being complied with,What can I do? Settlement agreement not being complied with,What can I do? My previous employer and I reached an agreement at the Commission for Conciliation, Mediation and Arbitration (CCMA) but it is not being complied with. What should I do now? If an employer fails to comply with a settlement, an application should be lodged with the CCMA to have the agreement turned into an arbitration award in terms of section 142A of the Labour Relations Act (No.66 of 1995) (LRA). Once the settlement has been made an arbitration award, section 143 of the LRA must be complied with. In terms of this section the arbitration award must be certified by a director of the CCMA. This is in accordance with section 143(3) of the LRA. Such application is brought be completing form LRA 7.18. The form is available on the CCMA’s website. A copy of the arbitration award must be attached to the said form. The employee must also give an affidavit confirming that the arbitration award had been served on the employer. Proof that it had been served on the employer must also be attached to the affidavit. Such serving of notice can be done either via e-mail, fax or by hand. This is to ensure that the employer is aware of the arbitration award. Furthermore, the affidavit must also contain the claim contending that the employer had failed to comply with the requirements of the arbitration award. The director would then certify the arbitration award, and will also issue a warrant for execution, which has to be submitted to the relevant sheriff to serve papers. The sheriff will then draw up an inventory of all moveable assets which can be sold at an execution auction to raise the monies to meet the requirements of the arbitration award. This process only applies to an arbitration agreement that provides for the payment of a monetary award.